In today's technology-driven world, batteries, especially button batteries, are everywhere. They power countless gadgets and electronic items that we use every day. While they may seem harmless, button batteries can be dangerous if swallowed by children. A new study conducted by researchers at the Center for Injury Research and Policy of The Research Institute at Nationwide Children's Hospital found that the annual number of battery-related emergency department visits among children younger than 18 years of age more than doubled over the 20-year study period, jumping from 2,591 emergency department visits in 1990 to 5,525 emergency department visits in 2009. The number of button batteries swallowed by children also doubled during this period. The study, being released online May 14, 2012 and appearing in the June 2012 print issue of Pediatrics, found that more than three-fourths of battery-related visits to emergency departments by children were among children 5 years-old or younger, with one-year-olds having the greatest number of emergency department visits. Of the cases where the battery's intended use was mentioned, only 29 percent involved batteries that were used for toys and games. The majority of cases involved batteries from products not intended for use by young children, such as watches (14 percent), calculators (12 percent), flashlights (9 percent) and remote controls (6 percent). "We live in a world designed by adults for the convenience of adults, and the safety of children is often not considered," said Gary Smith, MD, DrPH, director of the Center for Injury Research and Policy at Nationwide Children's Hospital. "Products with easily-accessible battery compartments are everywhere in our homes today. By making a few simple design changes and strengthening product manufacturing standards, including products not intended for use by young children, we could prevent many of the serious and sometimes fatal injuries that occur when children are able to easily access button batteries in common household products." Among cases that described the type of battery, 84 percent involved button batteries. 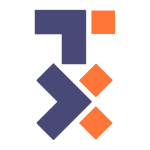 Researchers attribute this finding to the increasing number and variety of electronics powered by button batteries and the resulting increased availability of these products in the home. Recent reports suggest that the number of fatal and severe button battery ingestions is on the rise. This trend is associated with the increasing use of the three volt, 20 millimeter, lithium button batteries. "The increased prevalence of the higher voltage 20mm lithium batteries is concerning because it coincides with an alarming 113 percent increase in battery ingestions and insertions by young children," said Dr. Smith, also a professor of pediatrics at The Ohio State University College of Medicine. "When a button battery is swallowed and gets caught in a child's esophagus, serious, even fatal injuries can occur in less than two hours." Researchers also recommend that manufacturers ensure that packaging for batteries and products containing button batteries is child resistant and that they design all battery compartments to either require a screwdriver to be opened or that they be secured with a child-resistant locking mechanism, regardless of whether the product is intended for use by children or adults. 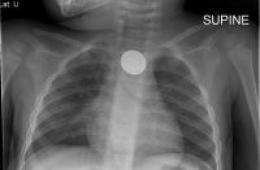 Parents who think that their child may have swallowed a button battery should seek medical attention immediately so that an x-ray can be taken to be sure that the battery is not stuck in the esophagus.